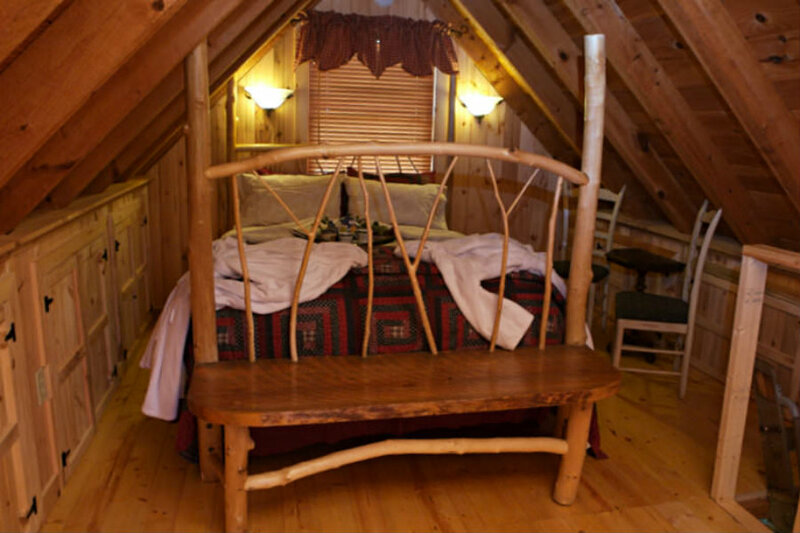 Perfect for your next weekend getaway to Gatlinburg and just a few steps away from the main lodge, the Cades Cove room offers a massive tree bed of peeled log branches with a log footboard bench, shower bath, stereo and private covered porch overlooking the farm. 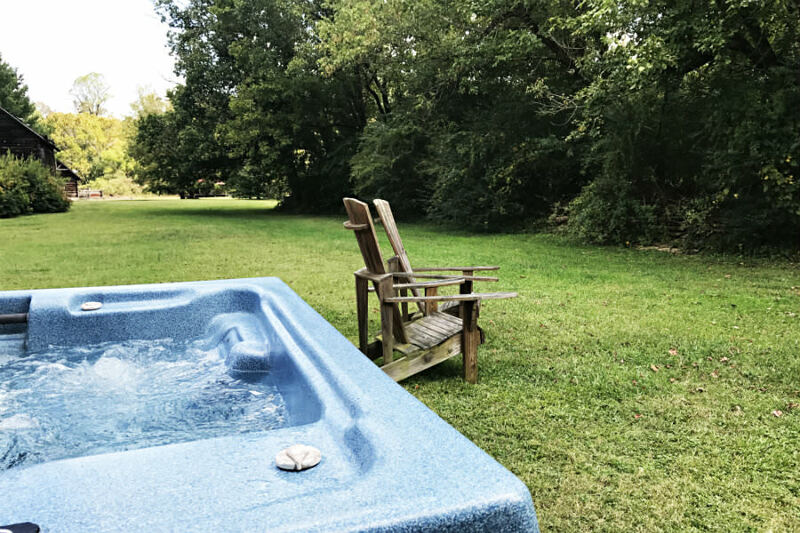 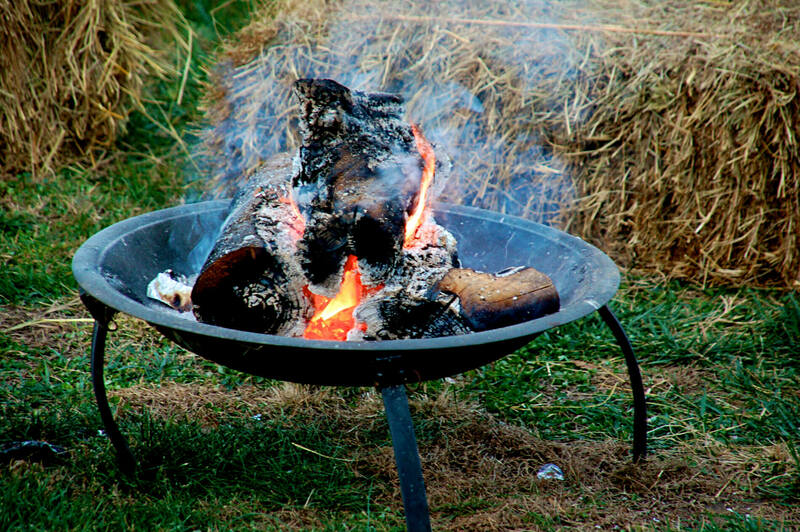 Your campfire area and hot tub is in the open where you can see the horses grazing and watch the sunset from your handmade chairs. 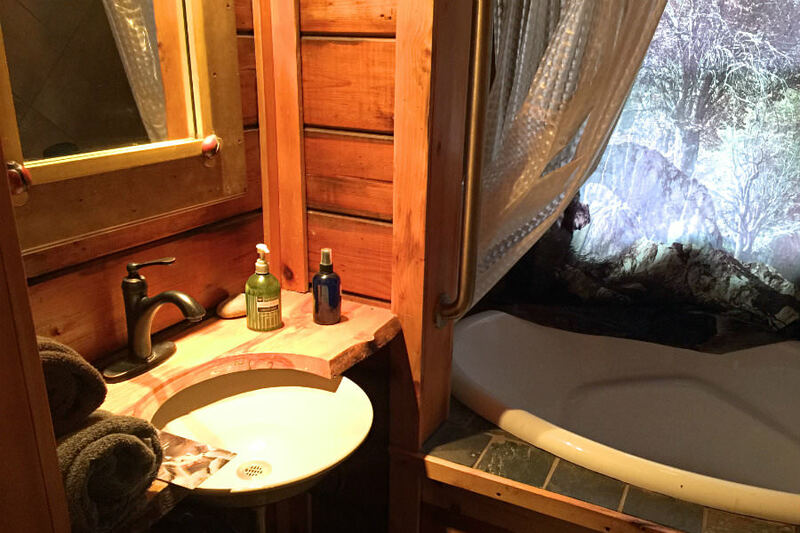 Mount LeConte, one of our favorite hikes to a beautiful mountain lodge, is a great name for this charming room with tiled shower and tub bath with hickory floors and slate tile floor in the bath. 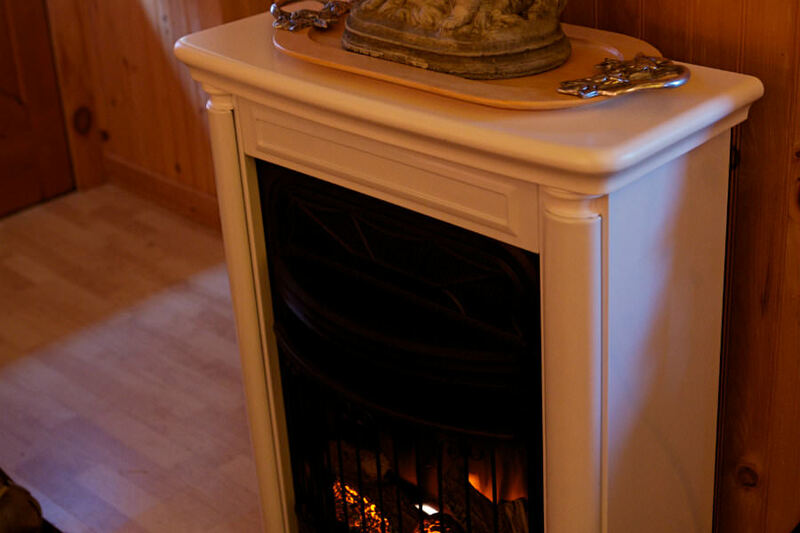 Two hickory rockers fireside indoors provide a great place for viewing movies on the DVD player. 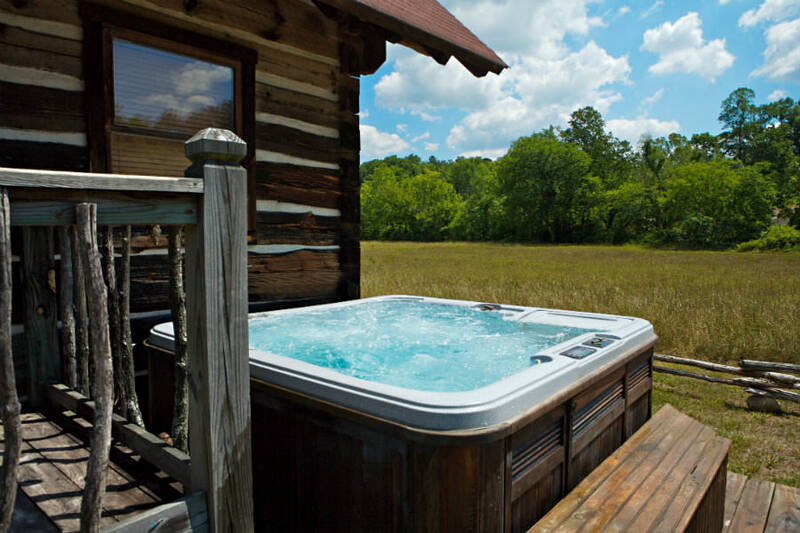 Outside you will find your spacious hot tub and grilling area if you want to enjoy fire and stars together. 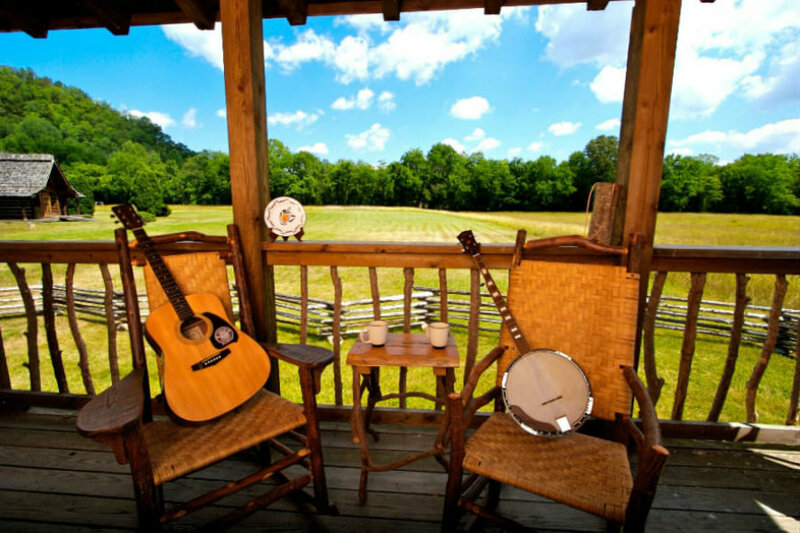 Bluegrass and old-time music of the Great Smoky Mountains of Tennessee are easy to find in this unique Gatlinburg area cabin on Whisperwood Farm in Cosby, TN. 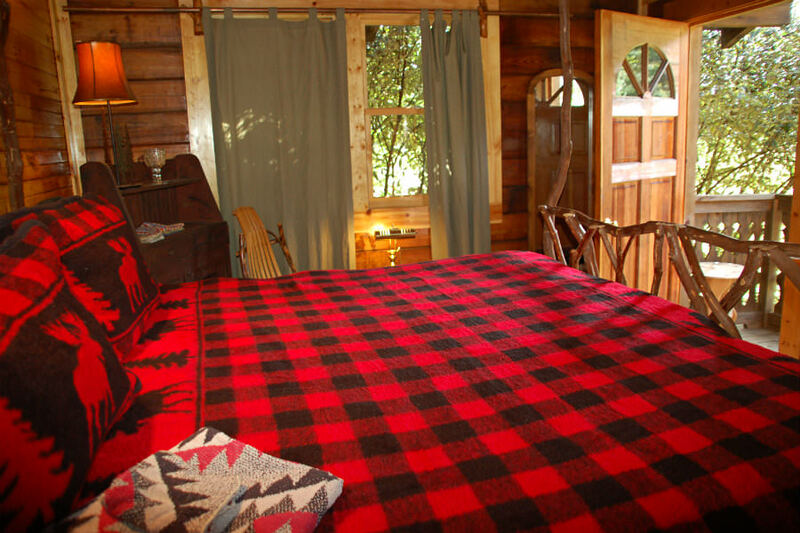 After a peaceful night’s sleep in the romantic featherbed, savor a delicious gourmet breakfast served at our main lodge or on your private porch. 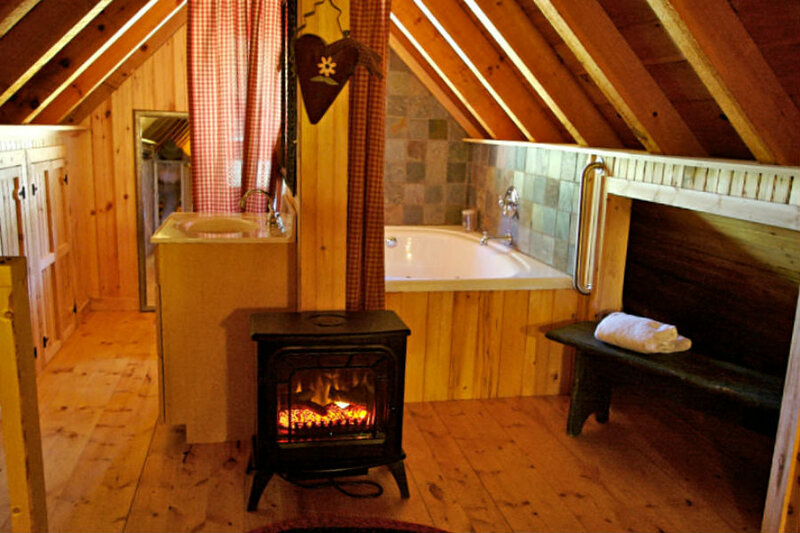 A ladder to the loft is worth climbing for a soak in the stone-surround Jacuzzi. 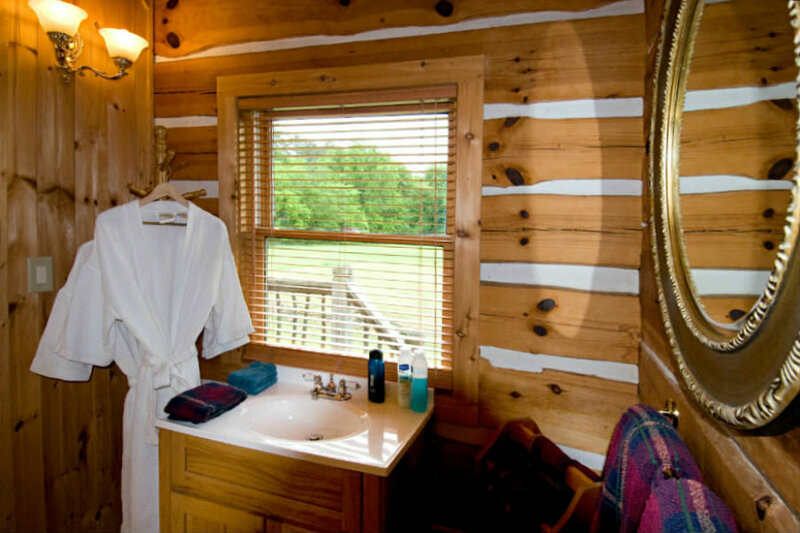 Spend the day exploring the area or just relax in the beautiful surroundings at the inn. 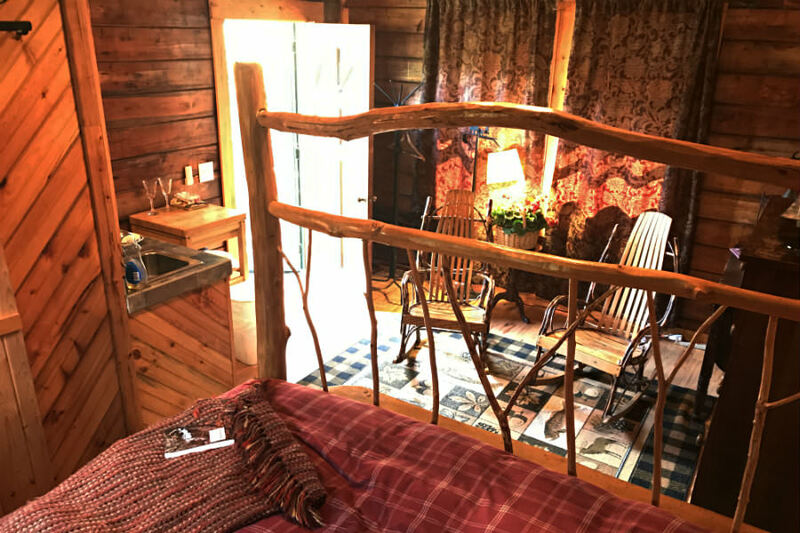 If a romantic getaway for just the two of you seems like a distant dream, then our cabin is still the perfect vacation rental for the whole family. 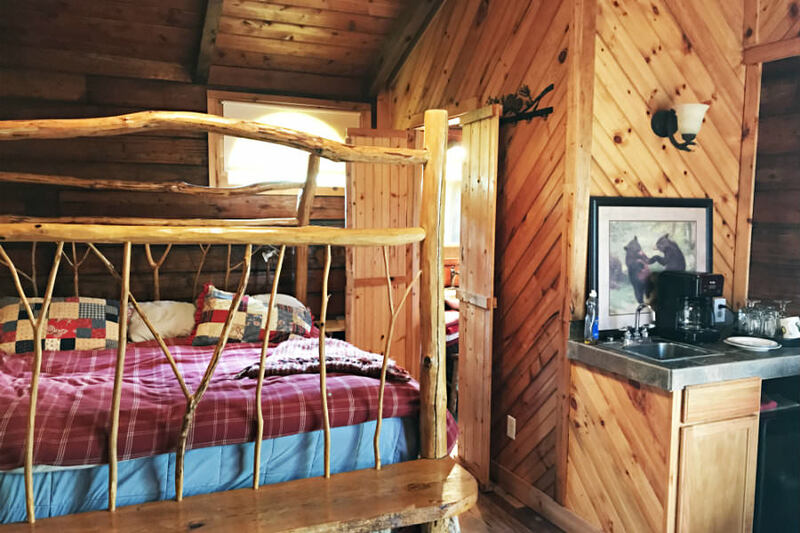 The loft provides room for your children, and our Smoky Mountain lodging is close to fun activities such as hiking, rafting, and sightseeing that everyone is sure to enjoy. 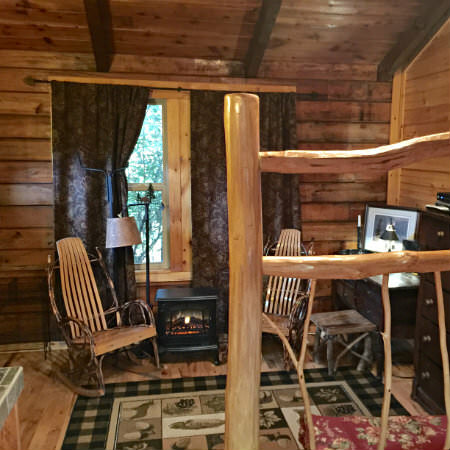 “This is our third stay here since December 2014. 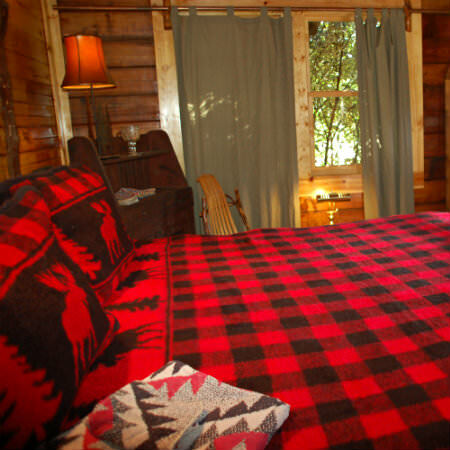 Such a cozy getaway for us. 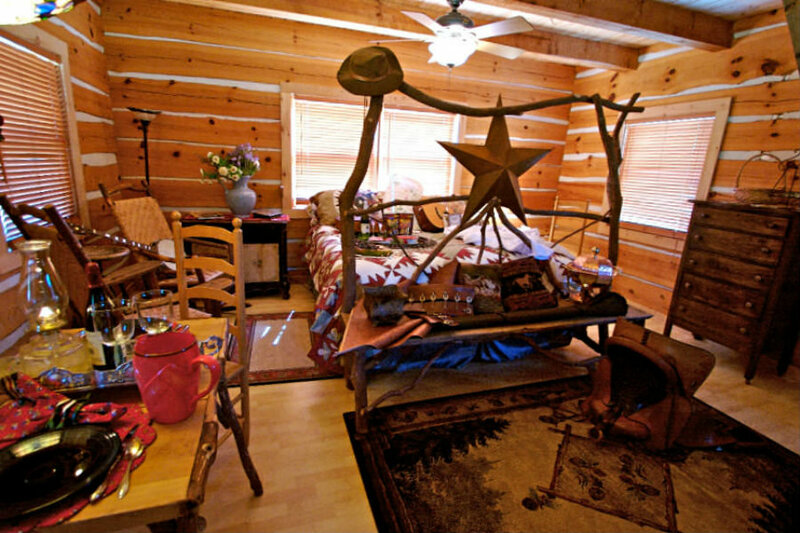 We love the quiet and peacefulness but still having the convenience of being close to all the attractions. 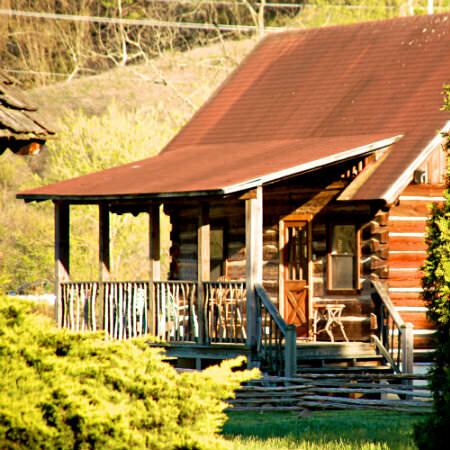 Can’t wait until our next getaway here in the fall when the leaves are changing. 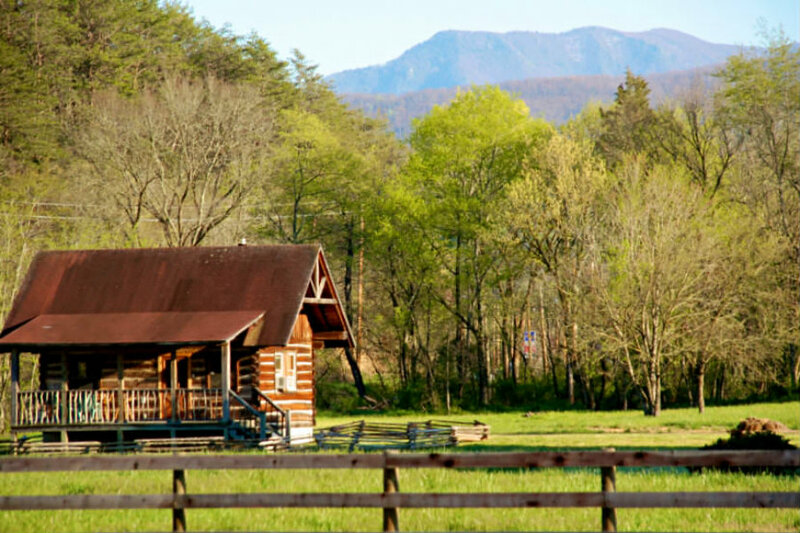 Things are so beautiful here year round. 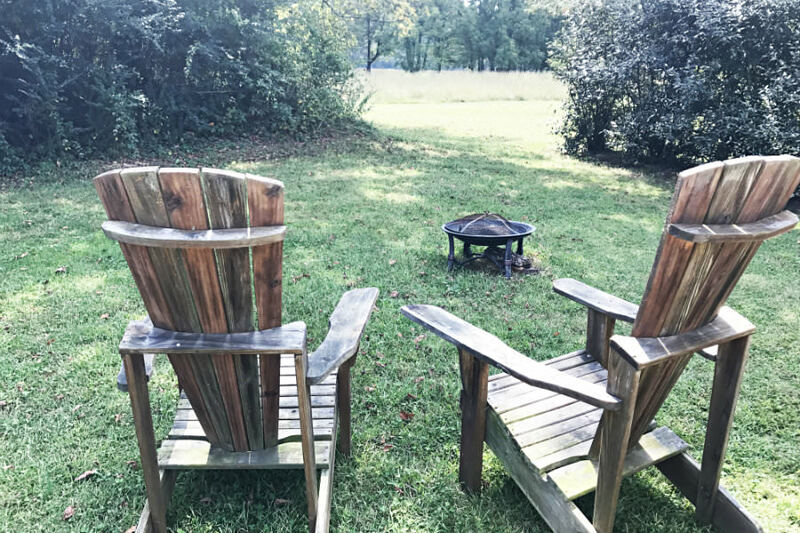 This is my “HAPPY PLACE”.